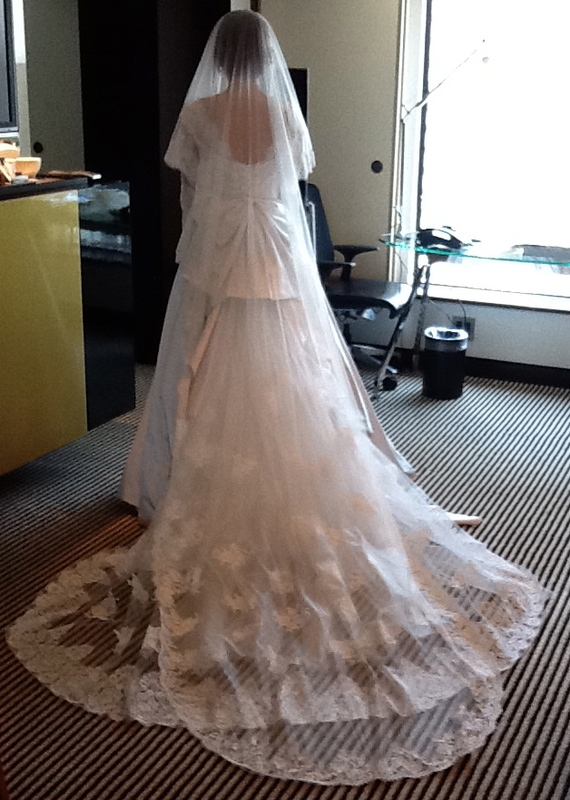 It was so honorable to receive an offer to make a wedding dress for actress, Mrs. Noriko Aota this time! It took 2 months to complete and you must be able to see this dress on TV. It was created with simplicity and wonderful design as well as beautiful silhouette of back. I can't wait to see the wedding picture! I met the bride at the meetings in person and she always created a good air with her happy smile! It was finally finished last week after 3 times tacking which was so exciting and fun moment. I was glad that she already loved the dress at the last fitting. 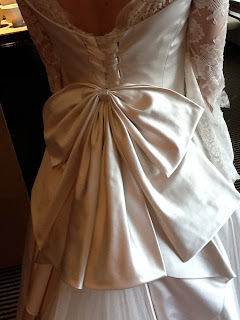 Before this dress I had made another wedding dress for Reiko-san from Classy magazine. I am so grateful to have such a opportunities twice. As matter of fact, it was not easy job but smile of bride makes me happy and I am proud of my job. Actually, it is the same as another my dresses too. I feel my pieces were like my children. I always have such an intensity for my creation. This time, I think I was able to create one of the most beautiful daughter (piece) with sophistication and elegances. Good thing about haute couture is to absolutely suitable for only one person and does not good on anyone. It sounds like Cinderella's glass shoes, doesn't it? It is amazing to pledge a forever love with only one wedding dress and your partner ! Wish Aota-san a wonderful life together!